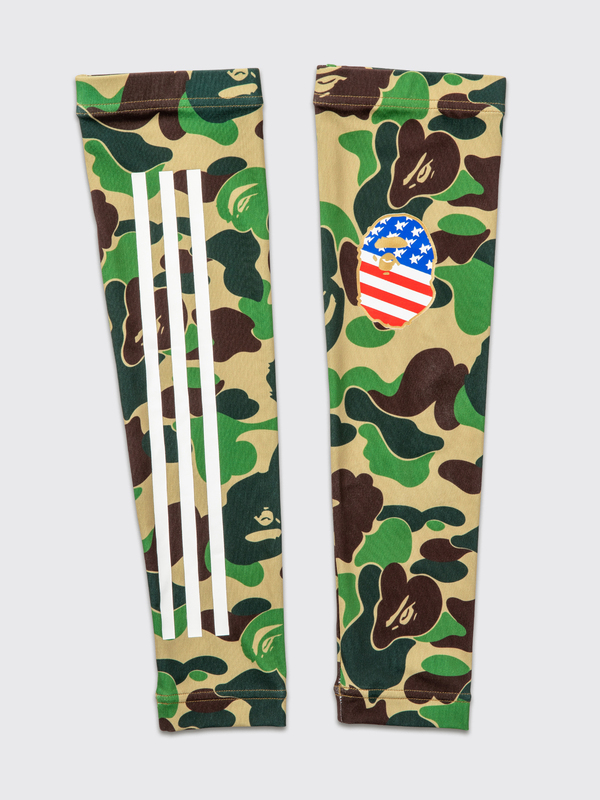 Sleeves from adidas by BAPE. Full-length construction for all-over protection made with Climalite technology to keep the wearer dry and cool under pressure. Red, white and blue BAPE logo and Adidas three stripes. Green, brown and white sleeves. Made from textile.